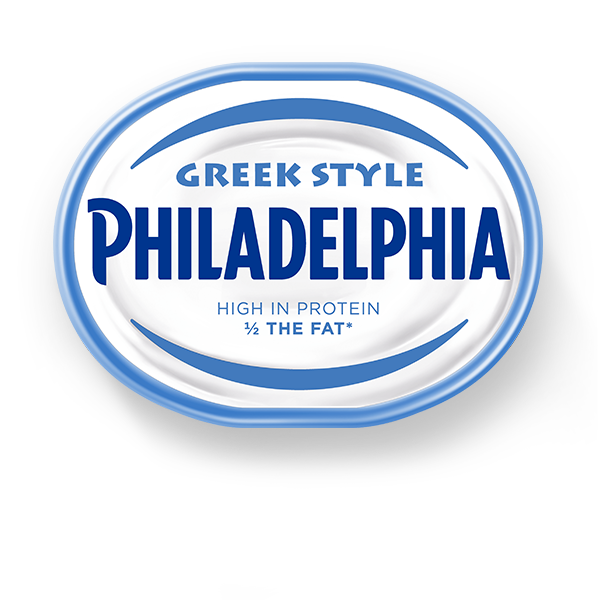 Made with milk and real cream, Philadelphia Greek Style is a delicious combination of the fresh and creamy taste of Philadelphia combined with Greek Yoghurt, for a soft cheese that is high in protein but with 50% less fat than Philadelphia Original. Perfect for spreading on crispbread topped with fresh berries and honey, or on a cracker with a savoury combination of sliced avocado and parma ham. Philadelphia is fantastically versatile, whether you are looking for a guilt-free snack or a delicious high protein lunch. See our recipes for more delicious inspiration. Made with pasteurised milk and with no added preservatives. Suitable for Vegetarians. Medium fat soft cheese, natural strained yogurt, salt, stabilisers (locust bean gum, carrageenan), acidity regulator (citric acid).